Duplicity stacks follow in the footsteps of our previous volume-using stacks, making good use of Cinder Volume Storage to ensure the protection of your data and allowing you to pay only for the space you use. Volume size is fully adjustable, and the Duplicity stack can support tens to tens of hundreds of gigabytes worth of project space. bundle-trusty-duplicity.heat.yml: HEAT orchestration template. It will be use to deploy the necessary infrastructure. With the bundle-trusty-duplicity.heat.yml file, you will find at the top a section named parameters. The sole mandatory parameters to adjust is the one called keypair_name. Its default value must contain a valid keypair with regards to your Cloudwatt user account.The passcode will allow you to encrypt your backups. You can also indicate the volume_size who will attach on your stack. This is within this same file that you can adjust the instance size by playing with the flavor parameter. By default all codes and passphrase generated by the application are stored in /etc/duplicity, you will find a file dup_vars.sh containing all the relevant information to make all the examples presented below. If you want to do remote backup you have to copy or create your ssh key on the Duplicity server for it can authenticate to the remote server, the path to your key will write into the option ` –ssh-option ` of duplicity command. 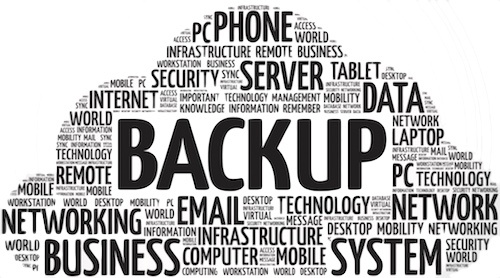 For information when you make the first backup duplicity will do a fully backup and after incremental. Duplicity will look at the signature of the file to be restored, if the signature matches an existing backup Duplicity will launch an incremental backup.If you want to make a fully backup all the time you can use this duplicity command duplicity full. Generating incremental backups encrypt , including databases , make’s Duplicity an ideal backup solution for self-hosting . PASSPHRASE="yourpassphrase" duplicity --encrypt-key your_encrypt_key --exclude /proc --exclude /sys --exclude /tmp / sftp://cloud@DuplicityPrivateIP//directory --ssh-option="-oIdentityFile=keypair_path"
To automate the backup you can use CRON installed by default on the server. it’s going to allow you to schedule your backup. One thing to keep in mind: When a service running on the server to save a lock is placed on the files used by it. If you want to make a backup FULL, you have to stop all services. To help manage backups , I propose to centralize on a volume attached to the server Duplicity.This one is mounted on the start of the stack . I did it for separate the server of your backups for more security and flexibility. The volume is mounted in /mnt/vdb/, it will allow you to have a completely independent backup set of your server Duplicity. ssh cloud@iPremoteserver -i ~/.ssh/yourkeypair.pem "duplicity  --exclude /proc --exclude /sys --exclude /tmp / sftp://cloud@IPduplicity//mnt/vdb/ --ssh-option="-oIdentityFile=/home/cloud/.ssh/yourkeypair.pem""
Latest news : During a restore , for the system can write all the information , it is best to run as a ` root`.